Sailor is a dog like no other. She is a Mastiff, a larger breed of dog, but she is also a scaredy-cat. What she is most afraid of is water. I get it, you get it, many humans also feel this very rational fear. The rest of us can understand it. 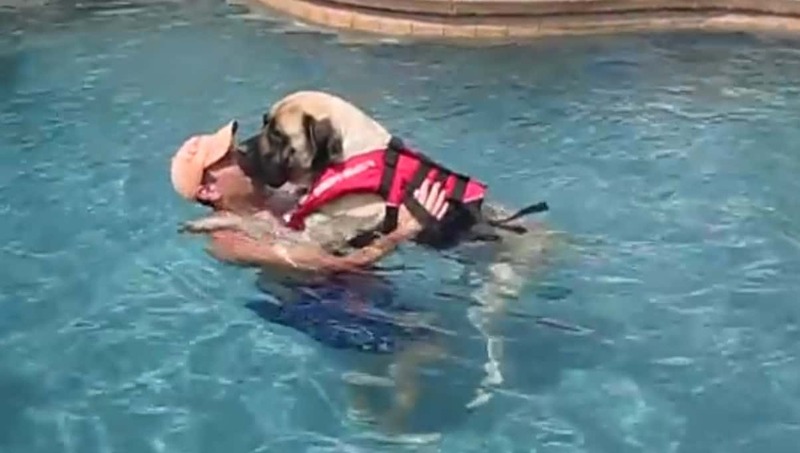 But Sailor’s owner, posting on YouTube as Brad H, is trying to help his darling scared Mastiff to overcome her fears. The series begins with her being really nervous, but Brad is sure to calm her and help her into the water. His pool in Tuscon seems like the perfect place to train her, but Sailor is still evidently nervous. He pulls her into the middle of the pool, allowing her to swim “doggy paddle” back to dry land. Sailor looks a little panicked, but encouragement from Brad and his family obviously helps her, as she comes back for lesson two. The second lesson has now been watched nearly two million times on YouTube. This is probably due to her incredible progress and adorable nature. The second time around Sailor looks a lot calmer and more trusting of Brad. 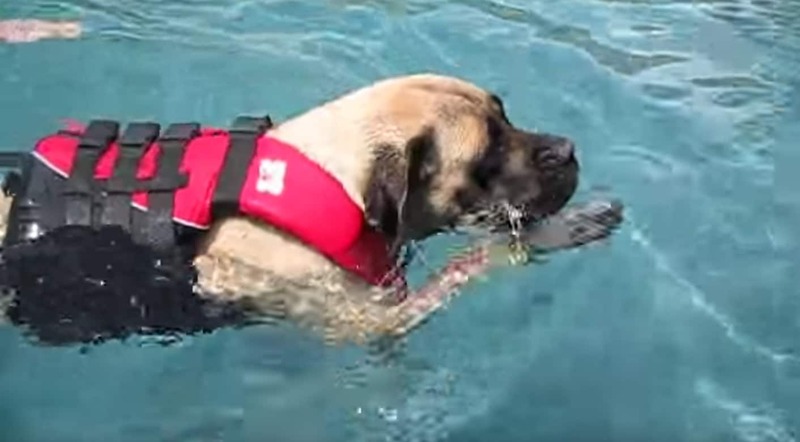 Her little life jacket helps her to float, and makes her look even cuter! This time, she even tries to paddle a little before her dad lets go of her, showing that she wants to try and swim. Her swimming has improved, as have her nerves. What a good girl! It’s funny that a dog called Sailor is scared of the water, but with Brad’s lessons, she’ll be splashing about in no time! This proves that no matter how big a dog, they can still be nervous. And the same goes for humans, too! Sailor faced her fears and is now enjoying the water. How adorable are Sailor’s swimming lessons? Let us know what you think in the comments, and share with your friends and family if you liked the video! 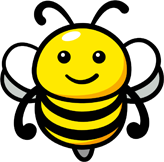 Check out similar stories on Happiest.